Drawing a crowd to church may not be the best way to start people on a path to discipleship. In fact, I’m beginning to think that it may hurt our discipleship efforts more than help them. If your usual door won’t open, be willing to try other doors. In most situations, innovation is often the best, most overlooked option. Imagine a hallway full of doors, all of which lead to the same destination. All your life, you’ve seen people go through one particular door, so you use it, too. But one day you try to go through that door and it won’t open for you. Billy Graham's life and ministry is proof that taking a strong stand for the truth of the Gospel does not have to push people away. Most of us have never known a world without Billy Graham. Changing chairs after 25 years as lead pastor at the same church is so unusual that we never could have planned it. It’s Sunday evening as I write this blog post. And I’m feeling a huge flood of emotions. Strong emotions are normal for pastors on Sunday afternoons, no matter how Sunday services went. But today is different for me. When you give church members the gift of time and respect, they’ll go with you to some exciting places. Is it an admission of defeat or disobedience to acknowledge that congregations have a finite life-span? Jesus’ church will never die. But individual congregations are never given that promise. No matter how faithful they may be. Last week, I wrote a blog post about honoring those who care for congregations as they face the last years or days of their ministry life. Local churches have a life-cycle. The addition or multiplication of small congregations has always been the typical way the church has grown. The persistently growing congregation is a relatively new phenomenon – and an even more recent expectation. In a smaller church, instead of uniting people, a mission statement can feel controlling and manipulative. Big churches need bold mission statements. 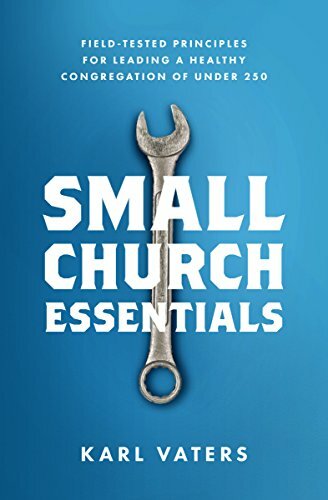 Small churches? Not so much.